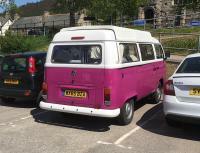 Nice VW Split screen camper. Seen at Crathes Vintage car rally, Crathes, Banchory, Scotland. May 2016. Nice VW Bay van. Seen at Crathes Vintage Car rally. Crathes, Banchory, Aberdeenshire. Nice Bay camper. Seen at Askrigg, Yorkshire, England. Nice Bay Window Camper. Seen at Braemar, Aberdeenshire Scotland, 3rd July 2015. 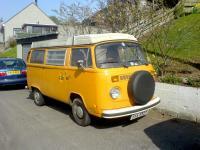 Its from "Deeside Classic Campers" that you can hire for a holiday. Looks good fun. 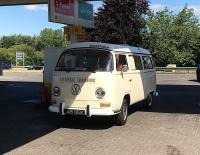 Nice VW Bay van seen passing from Scotland to England at Carter Bar. Swiss plates? 7th September 2014. Nice Bay Camper. Seen at the Edinburgh Caravan Club site. Edinburgh, Scotland, July 2014. Amazing Split. No easy way to describe other than stunning. Nice VW Camper. Seen at Edinburgh Caravan Club site. July 2013. Lovely Condition and well looked after. 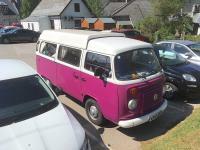 VW split Screen Camper. Seen at Durness, Scotland July 2012. Nice Bay Window Camper. Seen at Crathes Classic car show. May 2011. Banchory, Scotland.